With over 52 years of Ayurvedic clinical practice behind him, Itoozhi Vaidyar Dr.I.Bhavadasan Namboothiri has been a true preserver of the Itoozhi Ayurveda legacy, consolidating and eschewing the traditional Ayurvedic Ophthalmology treatises, and promoting Ayurveda amongst the general public. 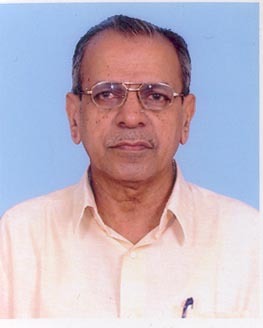 A strong advocate of fundamental clinical research along with medical practice, he has been instrumental in creating a custom software for the sole purpose of digitising, codifying and indexing the traditional ayurveda texts as manuscripts in the Itoozhi Ayurveda Manuscript Library, which run into thousands. His untiring efforts in popularising the efficacy of Ayurveda has led to a widened acceptance of this holistic path of healing, even having the Indian Navy have Itoozhi Ayurveda commission and operate a Ayurveda Treatment Center at Indian Naval Academy Ezhimala.